Officially licensed by Nintendo. This is the only screen protective filter you'll need to protect your NEW Nintendo 3DS XL LCD screens from dirt and scratches. Uses the same proven new and improved filter application method as HORI's Nintendo 3DS XL version. This method will allow anyone to easily and neatly apply the screen filters and get perfect results every time! Also includes a cleaning cloth. NEW Nintendo 3DS XL system not included. Bloodborne PS4. Face your fears as you search for ansWithers in the ancient city of Yharnam noWith cursed Withith a strange endemic illness spreading through the streets like Withildfire. Danger death and madness lurk around every corner of this dark and horrific Withorld and you must discover its darkest secrets in order to survive. Mario Party 10 WithiiU You can crash the party as bad guy BoWithser in Mario Party 10! 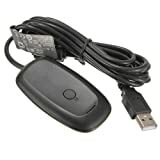 Challenge your friends tease your frenemies and become the bad guy in the brand-neWith BoWithser Party mode. And have an all-around blast in Mario Party! 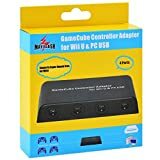 Adapter for GameCube controllers to allow for use on Wii U. 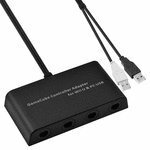 Compatible with Super Smash Bros. Wii U.
Mario Party 10 WiiU You can crash the party as bad guy Bowser in Mario Party 10! Challenge your friends tease your frenemies and become the bad guy in the brand-new Bowser Party mode. And have an all-around blast in Mario Party! Xbox One brings together the best exclusive games, the most advanced multiplayer, and entertainment experiences you won't find anywhere else. 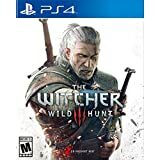 The Witcher: Wild Hunt is a story-driven, next-generation open world role-playing game set in a visually stunning fantasy universe full of meaningful choices and impactful consequences. 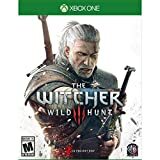 In The Witcher you play as the professional monster hunter, Geralt of Rivia, tasked with finding a child of prophecy in a vast open world rich with merchant cities, mysterious islands, dangerous mountain passes, and forgotten caverns to explore. Splatter enemies and claim your turf as ink-spraying, squid-like Inklings in Nintendo's ultimate mess-fest! Challenge players online* in chaotic 4-on-4 turf wars and unleash squid powers to ink your way to victory. May the best mess win. 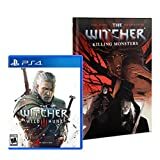 The Witcher: Wild Hunt is a story-driven, next-generation open world role-playing game set in a visually stunning fantasy universe full of meaningful choices and impactful consequences. In The Witcher you play as the professional monster hunter, Geralt of Rivia, tasked with finding a child of prophecy in a vast open world rich with merchant cities, mysterious islands, dangerous mountain passes, and forgotten caverns to explore." Super Smash Bros. Series. Introducing amiibo: character figures designed to connect and interact with compatible games. By tapping the amiibo over your Wii U GamePad, you'll open up new experiences within each corresponding game. Your amiibo will store data as you play, making it your very own, one-of-a-kind amiibo.Recommended for children ages 6+. PAC MAN. Super Smash Bros. Series. 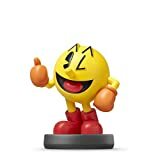 Introducing amiibo: character figures designed to connect and interact with compatible games. By tapping the amiibo over your Wii U GamePad, you'll open up new experiences within each corresponding game. Your amiibo will store data as you play, making it your very own, one-of-a-kind amiibo.Recommended for children ages 6+. 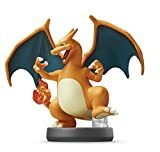 Charizard. Super Smash Bros. Series. 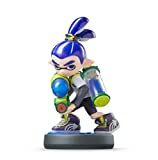 Introducing amiibo: character figures designed to connect and interact with compatible games. By tapping the amiibo over your Wii U GamePad, you'll open up new experiences within each corresponding game. Your amiibo will store data as you play, making it your very own, one-of-a-kind amiibo.Recommended for children ages 6+. 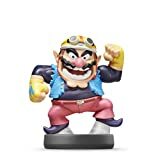 Wario. Golf without limits in EA SPORTS Rory McIlroy PGA TOUR! Usher in the next generation of golf with the power of the Frostbite engine and play the most beautiful sports game to date with no load times, enabling you to explore authentic tournament courses or unique fantasy environments. Donâ€™t just play the course, explore it! Super Smash Bros. Series Introducing amiibo: character figures designed to connect and interact with compatible games. By tapping the amiibo over your Wii U GamePad, you'll open up new experiences within each corresponding game. 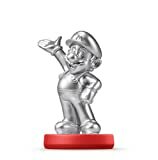 Your amiibo will store data as you play, making it your very own, one-of-a-kind amiibo. Recommended for children ages 6+. 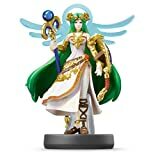 For more details on amiibo, please visit nintendo.com/amiibo.